Waking Up Tired? Here’s Why! For many people, waking up tired is an unfortunate fact of life, especially in today’s hectic society. Before industrialization, it’s a good bet to say that our ancestors slept better than we did because they followed the patterns of the sun—they got up with the sun and went to bed with the sun, or not long after. They also slept in segments, getting up typically once a night; they didn’t sleep in one long haul the way we do today. There are, in fact, several references to a “first sleep” and a “second sleep” throughout Western literature. 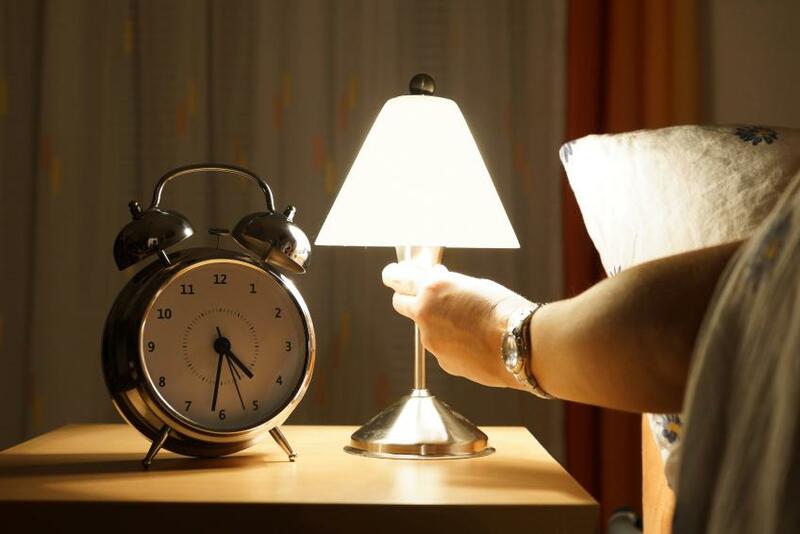 Part of it has to do with our circadian rhythms and the release of melatonin (the sleep hormone); our body’s internal clock knows when to wake up and when to shut down. Another part of it is that with improvements in public and domestic lighting plus the advent of establishments that were open all night, we simply found more to do with our time. Sleep took a backseat. Sleep psychologists say that waking up during the night is a normal part of human psychology and, among those of us who might be panicking about it, that we are panicking needlessly. Many people have adapted to this “new” form of sleeping in one long stretch and others haven’t, and while their lack of adaptation is closer to how the human body operates and functions, the fact is modern society isn’t structured in that way anymore. Six a.m. comes pretty darn fast and nobody wants to be dog-tired for work the next day. “I’m tired of waking up tired!” Can you relate to this? There may be legitimate reasons (1) other than your circadian rhythm that make you always tired in morning. Let’s take a look at six of them. Ever get up with the need to urinate at night? There’s a word for that: nocturia. During sleep, our bodies shut down for six to eight hours and most of us can go this long without needing to get up to urinate. Waking up a few times over the course of the night to use the washroom might indicate the presence of nocturia. Urinary tract infections (UTIs) are the most common reason for this as are age, bladder prolapses, diabetes, anxiety, kidney infections, and edema (water retention that causes swelling of the lower legs). In men, nocturia could indicate an enlarged prostate. This happens when the prostate presses on the urethra, which hinders the bladder from fully emptying. Diuretics or high blood pressure medications can also cause someone to get up at night and pee. If you get up more than once a night over a period of time, see your doctor to rule out any underlying health conditions, so you won’t feel tired after sleeping. Sleeping in a room that isn’t the right temperature can interrupt sleep patterns. There’s a sweet spot for room climate to get a better night’s rest, and that is 60 to 65 degrees Fahrenheit. A cooler room (and therefore, a cooler you) is far more conducive to sleeping soundly, which makes sense if you think about it because your body’s core temperature drops as you fall into deeper sleep. And have you ever noticed that when you’re really tired you suddenly feel chilled? 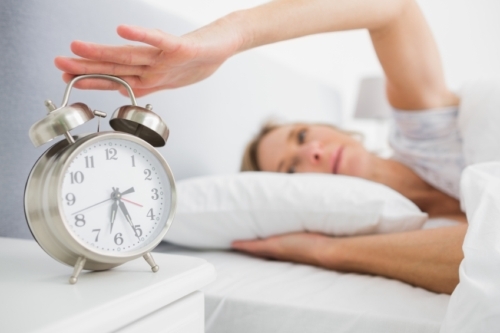 This is your body’s way of alerting you that sleep is required and is preparing to shut down. To get a good night’s sleep, the sweet spot for room climate should be between 60 to 65 degrees Fahrenheit. Are you sick of waking up tired all the time? Then you need to stop having a drink or two before bed. Yes, alcohol does make you feel tired and gives you the sense that sweet slumber is coming over you, and it might even do the trick for a few hours, but the reality is that alcohol affects your sleep cycle and prevents you from hitting REM (rapid eye movement) sleep, and without REM you will feel groggy and dissatisfied with your sleep the night before. So skip the alcohol and instead opt for a soothing herbal tea with chamomile or valerian (both of which are natural sleep aids) so you don’t experience waking up tired after eight hours of sleep. 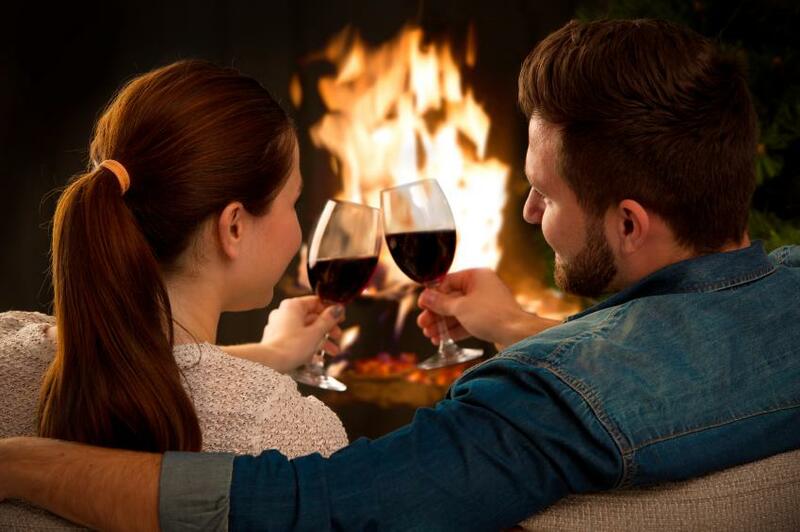 Alcohol affects your sleep cycle and prevents you from hitting REM (rapid eye movement) sleep; without REM you will feel groggy and dissatisfied with your sleep the night before. Certain medical conditions such as sleep apnea (2) can have you waking up tired. In sleep apnea, you stop breathing for a few seconds at a time in several intervals throughout the night; sometimes hundreds of times. Apnea in Greek means “without breath.” It causes stress on the body and in no way allows for a good night’s rest. People who suffer from sleep apnea are very tired and can be a hazard on the road because they may fall asleep at the wheel. If your sleep quality is suffering, talk to your doctor about spending a night in a sleep laboratory where you will be monitored; if you’re diagnosed with sleep apnea, a treatment plan can then be developed. If your sleep quality is suffering, talk to your doctor about spending a night in a sleep laboratory where you will be monitored. Do you work shifts? Sometimes you work days and sometimes nights? Do you stay up really late on weekends and then have somewhat regular bed times during the week? If so, you’re harming your sleep cycle. Consistency is key with sleep, and while it sounds hard to do, if you want to wake up feeling more refreshed than you have in years then you need to implement a fairly rigid sleep pattern and stick to it. If you work shift work, it will be tougher to set a sleep cycle that will have your body cooperating, but try improving your sleep hygiene routine with, for example, some relaxing herbal teas to at least set your body up to accept the rest it will get. Consistency is key with sleep. Bruxism, or teeth grinding, is a bad habit many people have but often aren’t aware of. You may be sleeping but waking up tired, and that’s because your body is putting energy towards grinding your teeth and not resting. If you suspect this is happening, see a dentist who can fit you with a mouth guard to prevent the grinding. Once you resolve this nervous habit, you stand a better chance of waking up feeling less tired. 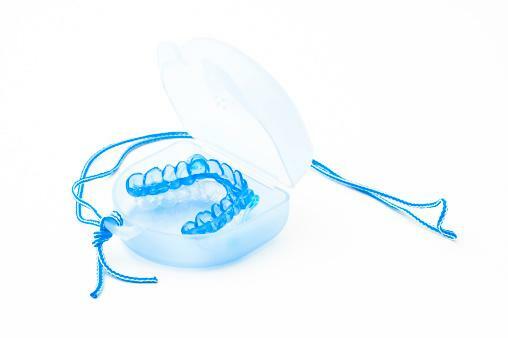 See a dentist who can fit you with a mouth guard to help prevent teeth grinding. This might be the most important reason yet. In 2011 the National Sleep Foundation (3) released its Sleep in America poll and the results are not surprising. It shows that the constant use of communications technology before bed (about one hour before bed, to be precise) is hurting how well Americans sleep and impacts how they feel in the morning—tired. Forty-three percent of Americans between the ages of 13 and 64 said they rarely or never had a good night’s sleep on weeknights and 60% said that they have some kind of sleep problem most nights or even every night. When you look at the bright lights of your smartphone screen before bed, the lights signal to your brain that it’s not time for sleep. 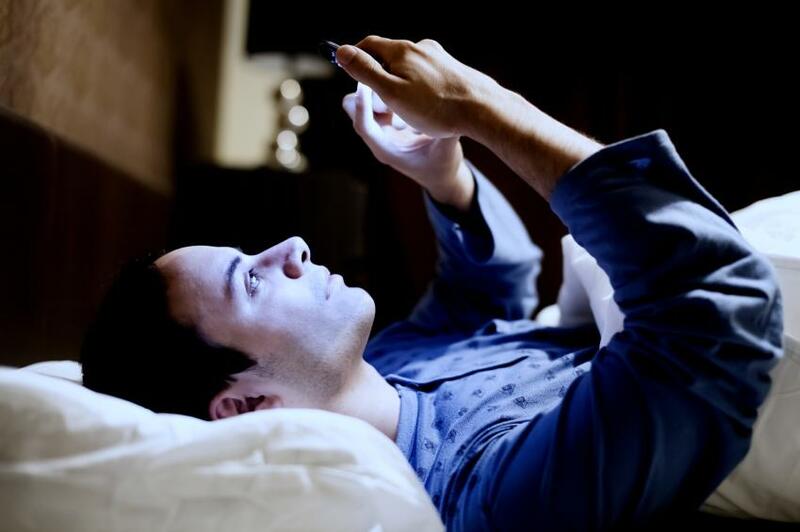 It’s been said for years that being exposed to the artificial light emitted from devices (televisions, tablets, cell phones) before going to bed alters how melatonin works in the body. Dim lights at night signal the brain to start producing melatonin and prepare the body for sleep, but bright lights from devices disrupt those signals and keep the brain stimulated and awake. 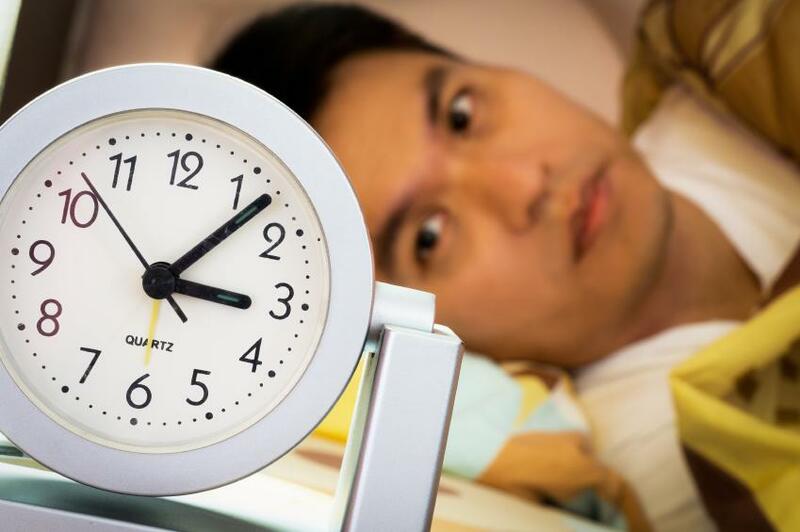 It messes with our circadian rhythms, and our bodies have no idea when we should be sleeping. To get a sound sleep and make waking up tired a thing of the past, one of the best things you can do, starting tonight if you can, is to develop good sleep hygiene. This means beginning to shut down two hours before bedtime. Turn off the television and all other devices. Surround yourself with dimmer lighting, find ways to relax, and then go to bed. You’ll soon notice the difference this will make. Make it a priority so that you can rest better and wake up feeling more refreshed. Feeling tired after sleeping can be frustrating and confusing, but with a few adjustments you can overcome these obstacles and get the sleep you need and deserve!